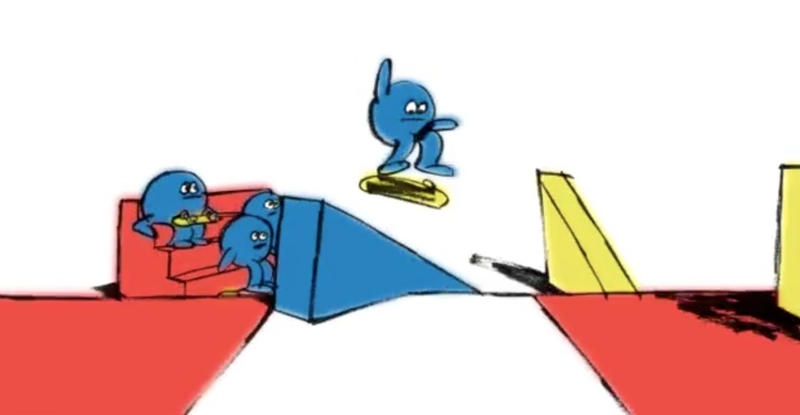 A fantastic little animation video by illustrator James Jarvis and animator Richard Kenworthy of one of Jarvis’ characters busting some sweet skateboard tricks. Peep the video after the jump! Love these little blue people.